Summer vacation for kids is here and with that comes warm and hot weather and ice cream and popsicles a few times a week. 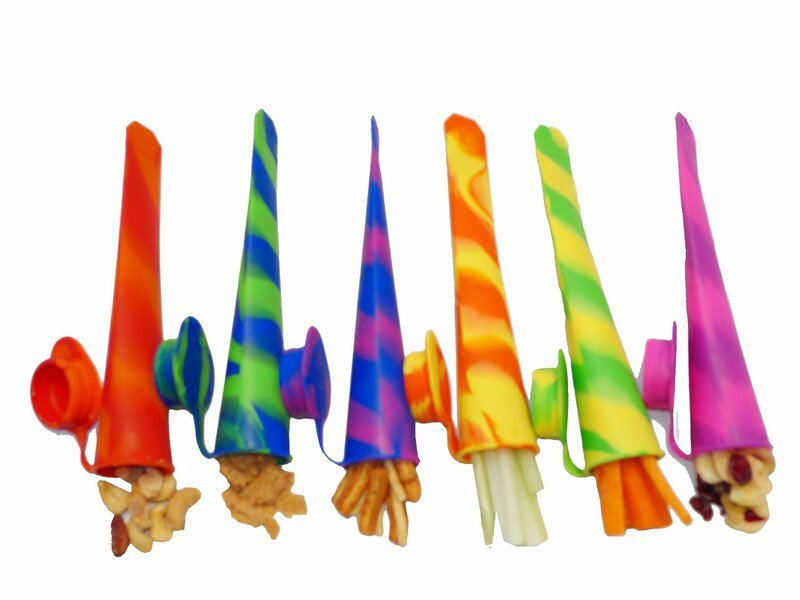 I want to tell you about Eziideas which makes silicone ice pop molds that come in 6 beautiful rainbow colors and 6 vibrant single colors, which are pink, blue, green, yellow, orange and purple so having more colors equals more fun. You can make your own D.I.Y.POP; no one will ever miss out your delicious homemade popsicles. These are easy to use to make delicious and healthy frozen pop treats with recipes in the box, airtight seal cap means no leaking and no mess as long as you do not overfill them makes sure to leave 2-3 cm as when this freeze the contents will expand the size of the mold is 8 inches/20cm long and holds 3.4 fl oz for a perfectly sized treat. Allow a minimum of 3 hours to freeze. Have fun with your wild imagination and creativity. The clever conical shape lets you drink the last drops without the melted mess or drips. 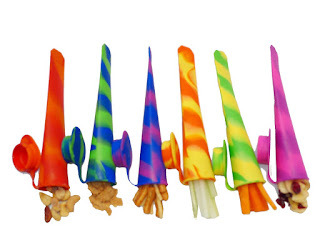 The silicone used in the pop molds are 100% Food grade silicone molds with premium quality. 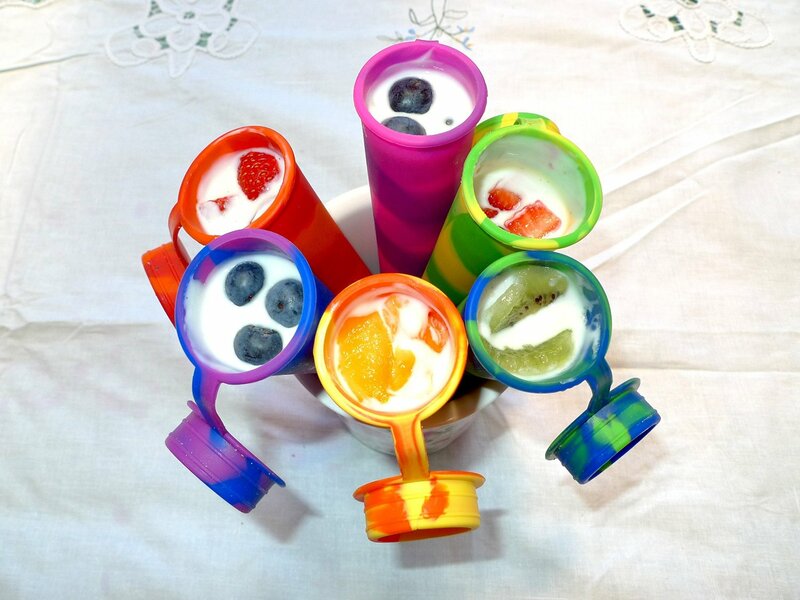 BPA FREE, NonToxic, No abnormal odor or stain, meets all SGS, FDA & LFGB standards. Also, they are durable, reusable and dishwasher safe. My Opinion: I really like the pop molds and I like how I can put my favorite sports drink in it then freeze it along with cherry lemonade, make a creamsicle adding my favorite fruits and dairy product or coffee one. These are also great for kids lunchboxes to add snacks to for school, day camp, summer camp, road trips and more.